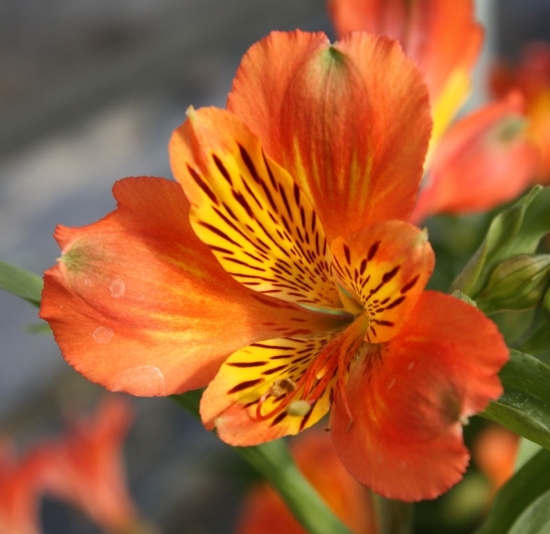 Excellent medium-tall variety with medium-large flowers; bright orange with darker cheeks and the typical brown dashes against a yellow zone. 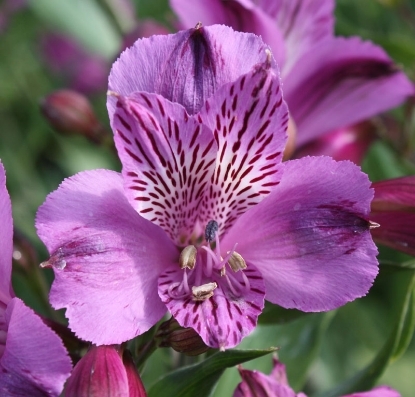 Compact, upright growth and floriferous. 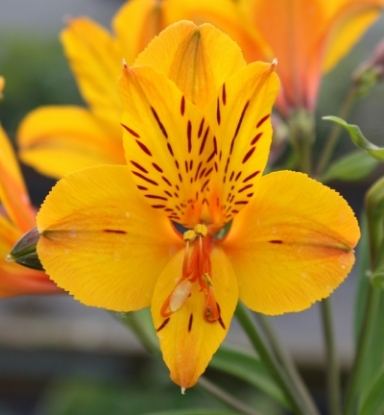 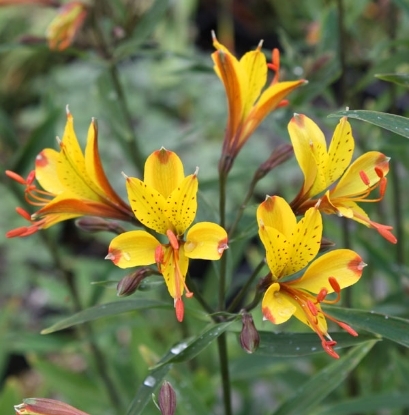 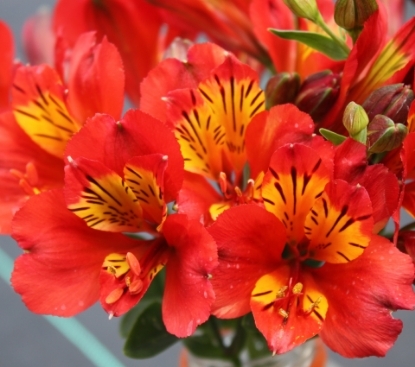 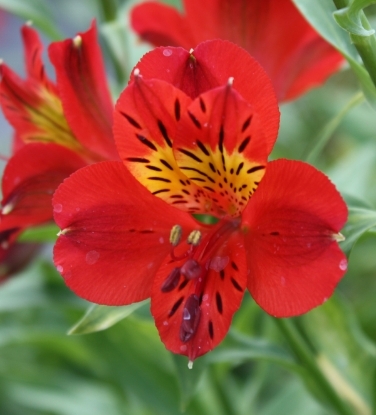 BEFORE ORDERING, PLEASE read very important information about growing and shipping Alstroemerias on top of the Alstroemeria main page.